What Dr. Ge-Zerbe offers is care for both endocrinology and primary care, personalized care 24/7 by phone, text, email etc. Unlimited visits without co-pay and same day non-rushed appointments. Discount labs and medicines to save money, no additional fee for procedures such as ultrasound and biopsy. Hospital visit and house call available. To join Dr Ge-Zerbe’s practice, you can directly communicate with Dr. Ge-Zerbe via cell phone, video/facetime/Skype for urgent issues at anytime (24/7), or email her for non-urgent issues 7-7 Mon-Fri. You will talk to Dr. Ge-Zerbe – your doctor – directly when you contact her instead of getting an answering machine or nurse call-back. You can also see her as many times as you need, as long as you need to WITHOUT AN ADDITIONAL FEE. You will enjoy markedly discount labs service and generic medication if you have no insurance coverage or have high deductibles. Your medical record remains your own–not shared with insurance companies or their databases (unless you choose to share it). Direct care medicine is not an insurance plan and is not a substitute for health insurance. You should still maintain your present plan, or purchase a high deductible catastrophic care plan, because you will need coverage for hospital care and any care provided by anyone but Dr. Ge-Zerbe. Dr. G is always so helpful and careful to make me feel like the best version of myself!! I recommend her to all my family and friends. I except and embrace my Hashimotos thanks to her! Dr G and her staff provide an atmosphere that fosters a nurturing and supportive environment from the moment you walk in the door and through the entire appointment. Dr G is unique in that she has a clinical background and thus has a “hands on” understanding of disease processes and viable treatment options. She also blends Eastern and Weatern treatment options for her patients. 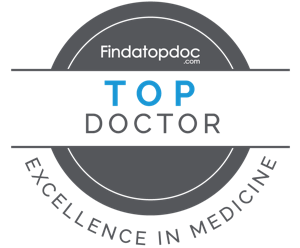 Dr G is extremely invested in her patient’s wellbeing and strives to provide the highest level of care and support. My personal experience with Dr G has been nothing short of spectacular. I am not only a patient who is seen by other specialists in specific autoimmune disease, but I am also the daughter of a surgeon. My experience with Dr G has far exceeded any other I have had with a medical professional. If you are looking for a physician who is knowledgeable, listens to you and your concerns and provides options of treatment without dictating the direction of your care, Dr Lynn Ge-Zerbe is your answer, hands down! Apply in minutes here. With a single application, Parasail will search loan offers from all of the top online lenders without effecting your credit score – and you can select the right fixed-term loan option for you. Find more out about Parasail here.